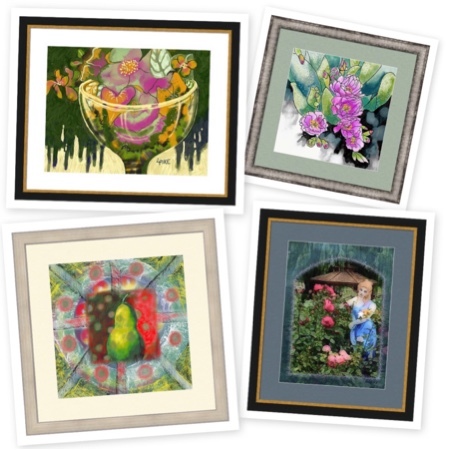 Check out some of my art prints in frames. You have lots and lots of frame choices and mat colors to choose from when you purchase my prints at fineartamerica.com. There are also canvas prints available framed and unframed and many other wonderful products that can be printed with my art on them. Check out the widget at the right, click on an image within the widget and it will take you to my page on their website for ordering.